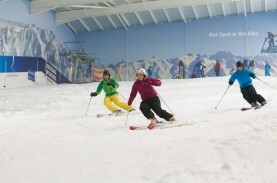 The UK sends around one million people skiing every year outside its borders, the second largest outbound ski market in the world after Germany. The British are mad about the sport and occasionally even claim they founded it – although we know the Norwegians have been skiing on wooden planks for centuries. One of the drivers that contributed to the growth of the sport during the late 1980’s (apart from cheaper access to holidays abroad) is the dry ski slope. Without the dry slope, I wouldn’t be working in the industry I’m in today. I first put skis on at Hillingdon dry slope circa 1985 and from then on, I knew that skiing was going to be part of my life. These synthetic surfaces are made from a variety of materials, usually plastic – hence the name, plastic slopes. One of the companies producing high quality slopes is Italian company Geoplast. They even have a pre-set tracking system with slalom poles that can be inserted easily into the surface, making it ideal for summer race training. As a teenager, I didn’t spend time playing on computer games, or hanging around the shopping mall with my friends sneaking in the odd can of beer, or spend time studying for my school exams. No, I spent every spare hour skiing down a plastic ski slope with my friends in Bracknell, Berkshire – and I loved every minute of it. I’m convinced this made me become a better skier than I would have been if I only had access to real snow. You get inventive on a 150 meters slope – you practice your technique over and over, refine your turns and hone your muscle memory over hours and hours of skiing. 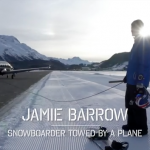 I recently spoke to some well-known skiers and snowboarders about their own experiences on the dry ski slope and they all had a slightly different story to tell – but we all have one thing in common and that is, without the dry ski slope, we wouldn’t be doing what we are doing now. Not only was I a mad ski racer but I also grew up in Scotland so finding places to train all year round was a necessity and my incredibly supportive parents drove me to Hillend, Edinburgh every Thursday night and all over the UK to various races and events most weekends. Although it doesn’t give quite the same sensations as snow skiing it was a great substitute and I have very fond memories of blasting through the gates on various dry slopes. Not only did it help us with our technical and mental preparation for racing, but socially we had an absolute blast. When I was 15 I was lucky enough to start studying and training in a race academy in Schladming, Austria. I was amongst some great ski racers like Meissnitzer, Goetschl and Brigitte Obermoser who became one of my closest friends. Brigitte skied everywhere and got onto the World Cup podium on several occasions but seeing her face as we stood on the top of Hillend dry slope was something I shall never forget. 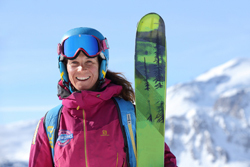 She did eventually ski down it but you would never have guessed she was a top ski racer! Dry slopes are definitely a fantastic place for ski racers, but also a great place for beginners to start off before heading out to the mountains. Dry slopes changed my life. “A ski instructor?” A bemused careers officer said to me in my 5th grade at Harlow comprehensive school in Essex. “Yes sir, a ski instructor”. 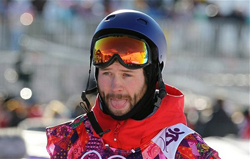 The look on his face said it all and I hadn’t even really skied on snow at the time! But here I am, 38 years older and I have competed for my national team, trained instructors for our national snowsports association, set up a chalet company, travelled the world in search of exotic skiing destinations and now director of a ski courses company with my wife and family all involved in the snowsports industry and I am still teaching skiing and loving every minute of it. A dry ski slope certainly did change my life. 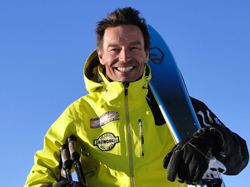 I first touched a snowboard after going skiing with school at Southampton Alpine Centre when I was 14 years old. My friend wanted to try it out, I reluctantly agreed to go with him and instantly fell in love with it. I was very focused on my life as an acrobat when I was younger, but there was a big gap left that needed to be filled, the dry slope fitted this perfectly. I came from a super structured sport, but only snowboarding was able to teach me all the basics I thirsted for. Me and a bunch of friends would run down the dry slope as much as possible and when we got the hang of things and moved to freestyle, it was all I’ve always wanted to do. I was meeting new people looking up to the older guys and going on trips to local dry slope contests. This is where it all started. It was the first time I was away from my parents and this allowed me to be completely free to do what I wanted through snowboarding. After getting a job at the ski centre as a full time technician I had realised I wanted to go on a season to Morzine and try the real stuff which was the next step. I’m not sure how I got where I am today, it was never really intended. The dry slope is where I first put on a pair of freestyle skis. From the age of 11 I practised at the Sheffield Ski Village for 10 years – here it’s where I learnt all my basic tricks and techniques. The freeskiing was very popular with loads of kids skiing every week. I would compare it to a really busy skate park. Without Sheffield Ski Village I would never had discovered freeskiing and I would never have been inspired to bring my skiing to the next level. I used to travel around the country with my Dad hitting all the dry slopes like Halifax, Rossendale, Warmwell and Sheffield, doing competitions and events. The whole UK dry slope scene inspired me. I was already a good skier before I started on the dry slope, but it gave me a base of freestyle that I didn’t have before. The UK dry slope competition scene also gave me experience in a wider competitive arena before I ever did an international event. At the time, the World Freeskiing scene seemed like a distant dream but the dry slope gave me the base to pursue and achieve it. I skied for a couple of years on a dry ski slope (Fairwater Park, Cardiff) while I was studying, before ever skiing on snow. 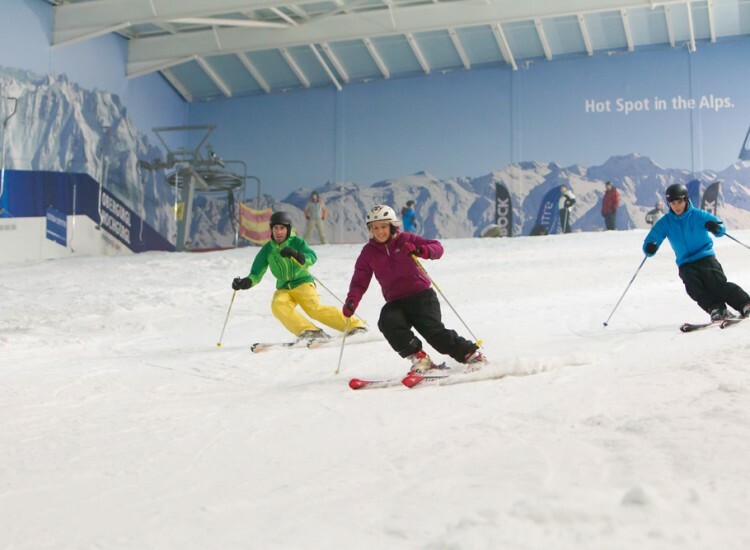 After graduation, I worked in Uxbridge, where I joined the ski club at Hillingdon Ski Centre. I raced there for a few years before joining the ski school. 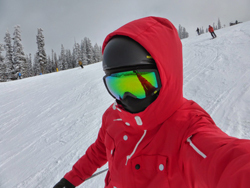 Eventually, I switched full time careers, from science to ski teaching. Now, I run a company that operates in 13 Alpine ski resorts and I’ve just returned from heli skiing in Iceland, with great clients. It all started with dry ski slopes. Geoplast makes artificial surfaces that are adaptable and easy to manage – their product, Geoski, is a synthetic surface with three different models. 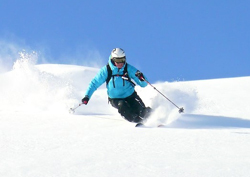 GS Top – a surface for skiers of all ability levels, which is perfect for alpine training slalom slopes. 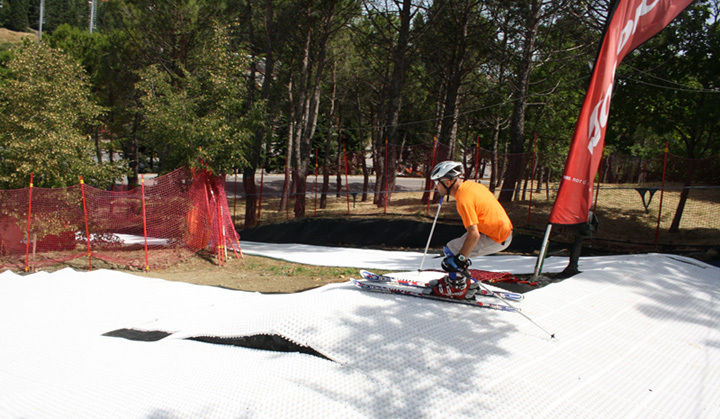 GS Start – a surface that can be used for ski transportation such as ski lift tracks or access runs. GS Fun – ideal for tubing and freestyle set ups like jumps, boxes and moguls. 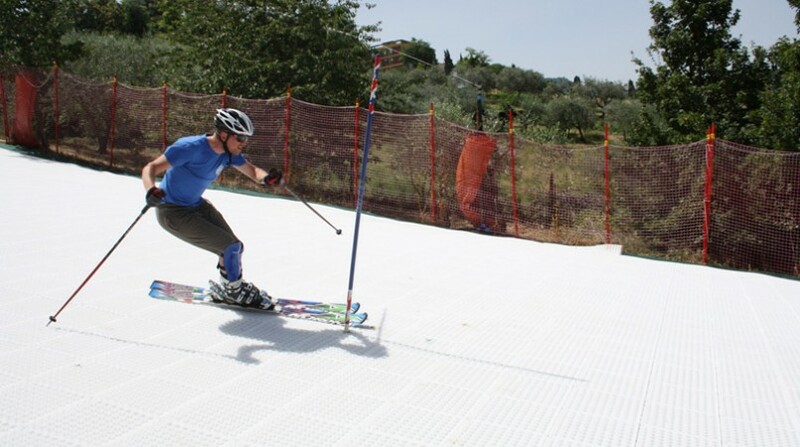 They believe the future of their product isn’t just in new artificial ski centres, but also in ski resorts themselves, as it allows to increase cost-efficiency when covered with artificial snow. Environmentally, an artificial slope in an area where the snow cover is generally very thin, so Geoski better than creating a huge amount of artificial snow from water reserves. Emma Lonsdale Sochi Olympian also an artificial ski slope freestyle skier from Kendal Snowsports Club in the Lake District. 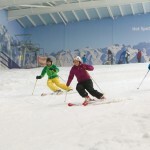 Check us out at http://www.kendalsnowsportsclub.co.uk. Thanks John – must come and check you out sometime.